Gemologists typically use either a stereo microscope or a gemological microscope when viewing precious stones or gems. A gem clamp is used to hold the stone in place and often darkfield illumination is used to direct the light around the precious stone. These gems were captured under a Richter Optica S6 LCD tablet camera stereo microscope using 7x magnification. 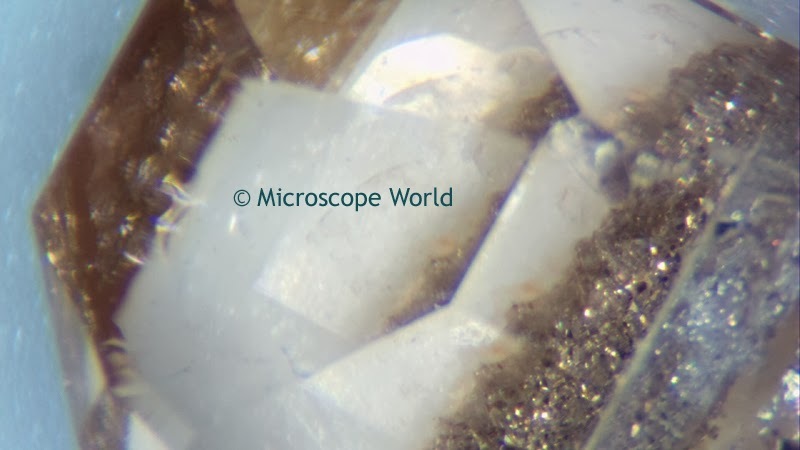 Gem captured under a stereo microscope. 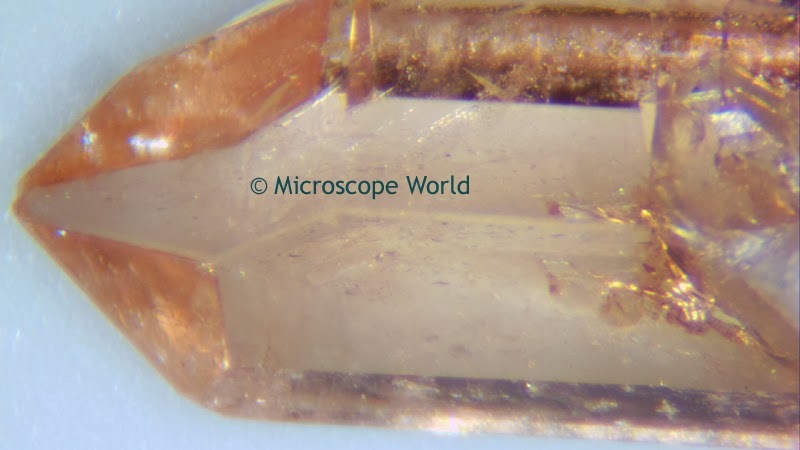 Precious stone captured under stereo zoom microscope.